To say “I live in…” in Spanish you say vivo en…. 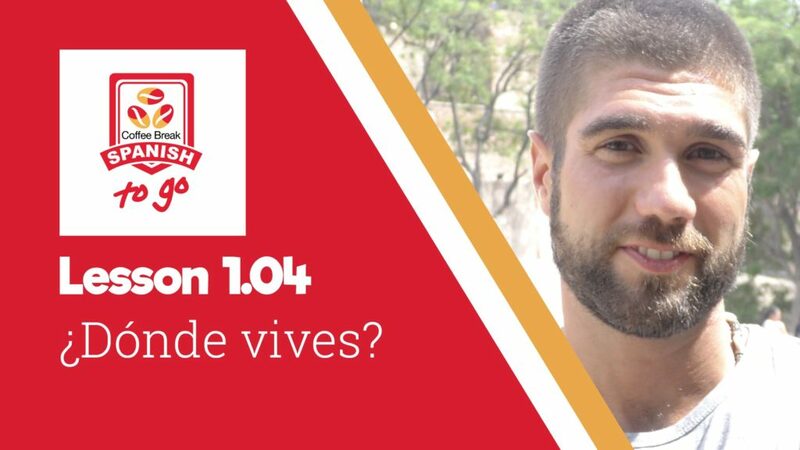 In this episode of Coffee Break Spanish To Go, Marina asks the question, ¿Dónde vives? (informal) or ¿Dónde vive usted? (formal). You can use the answers of our interviewees to help you learn to say where you’re from in Spanish. Coffee Break Spanish To Go will be published every two weeks on YouTube, and each Season will be filmed in a different part of the Spanish-speaking world. If you’d prefer not to wait for all 10 lessons of Season 1 to be published, you can access downloadable versions of the videos along with audio versions and lesson notes / transcripts in the Coffee Break Academy: click here for more information. PrevPreviousCBI 2.32 | La Mia Estate ep2 – Sognare non costa niente!